You wouldn't use a cleanser or moisturizer specifically formulated for dry, flaking skin if you have an oily, acne-prone complexion, right? And sheet masks should be no different. 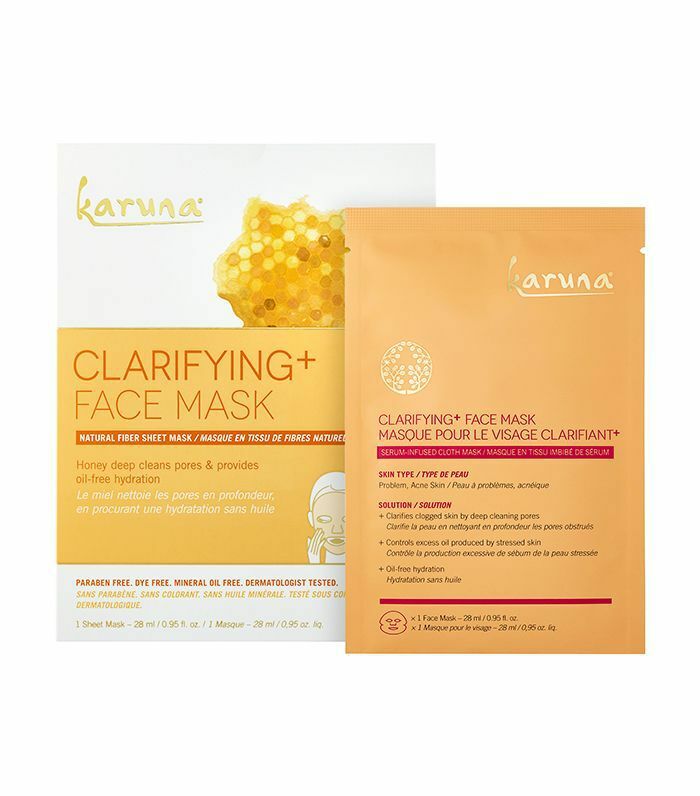 Though there's an ever-increasing number of fancy and innovative sheet mask formulas debuting within the skincare industry, it's still important to keep your eyes on the prize and select the products specifically designed to nurture, enhance, and improve your particular skin type. So we've been wondering which of our favorite sheet masks specifically targets acne? We put our nose to the grindstone and researched the top 10 sheet masks for acne that will not only address current breakouts and oil but future ones, as well. From hyperpigmentation to blackheads to shine, keep reading for the 10 sheet masks for acne we trust with our frustrating blemishes again and again. 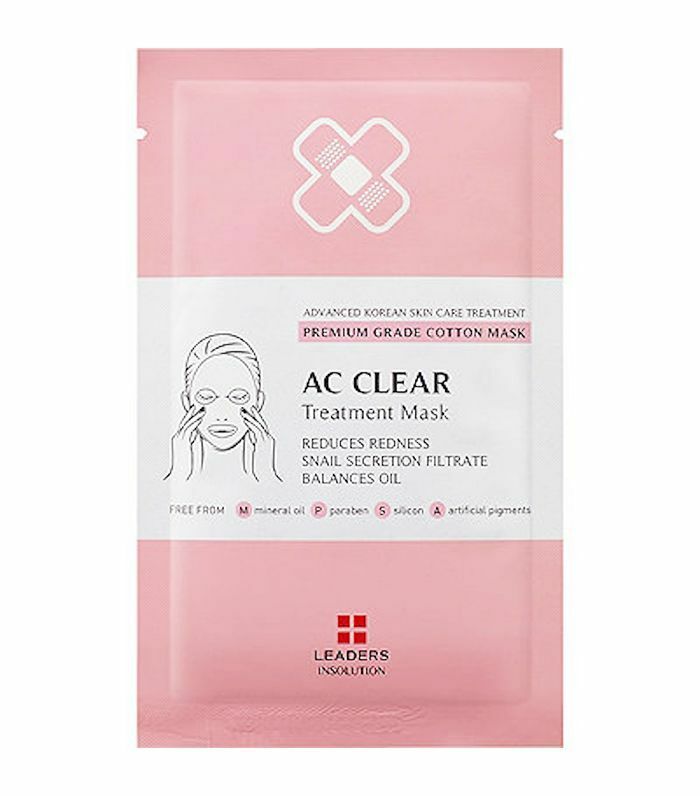 Calming and hypo-allergenic, this acne-clearing sheet mask expertly relieves redness while keeping sensitive skin moisturized. Plus, it's gentle enough to incorporate as part of your daily skincare routine. FYI: Clear, pimple-free skin doesn't get more affordable than this. 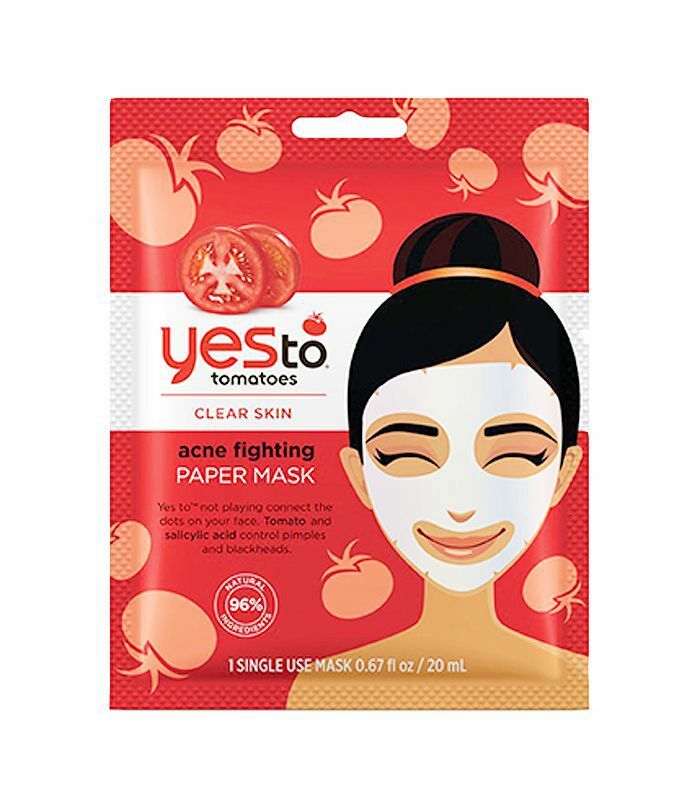 Enriched with acne-busting ingredients like tomato extracts and salicylic acid, this sheet mask kills two birds with one stone, fighting existing breakouts and preventing future breakouts from forming in the first place. If you're trying to control acne, it's best to steer clear of oily skin products. This oil-free pick is specifically designed to fight blemishes with powerful agents like hyaluronic acid, peptides, aloe vera, chamomile, Chinese licorice, and vitamin B. The result: lessened breakouts, enhanced radiance, and improved hydration levels. 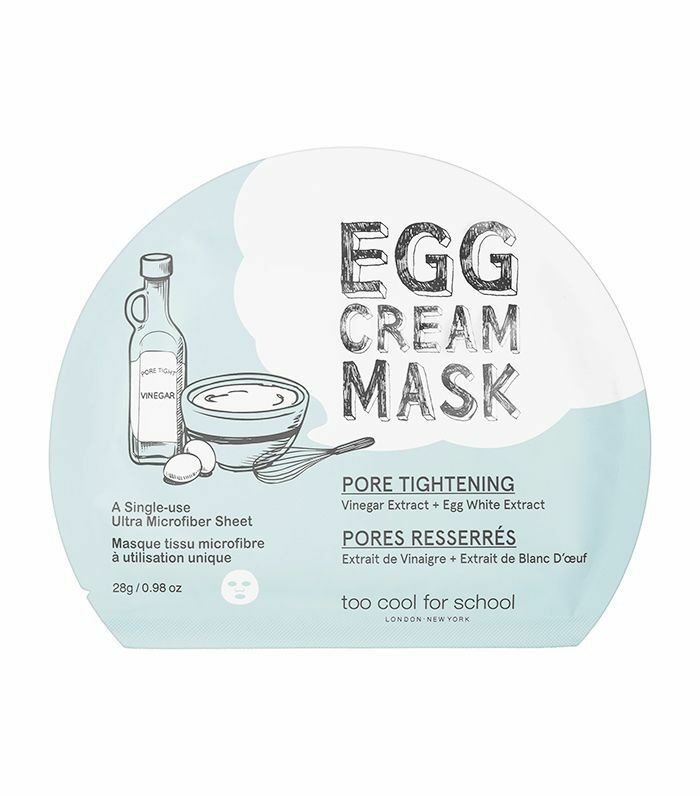 A great clarifying sheet mask for acne-prone skin, this one from Too Cool for School specifically targets larger-than-you'd-like pores and excess sebum. The sheet is made from baby-soft microfiber (for ultimate comfort) and it's chock-full of skin-improving fare like egg white, vinegar, and witch hazel extracts. Greasy skin and stubborn blemishes are practically synonymous. 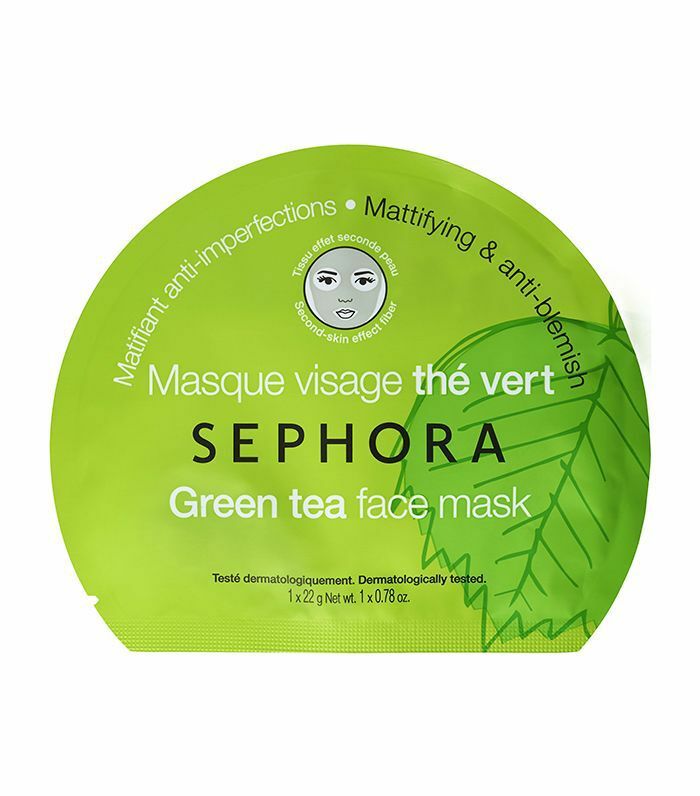 This green tea–infused sheet mask tackles both head-on—soothing existing acne and nixing excess oil for a calm, cool, and collected matte finish. Try this editor-approved mask and bid blemishes adieu. 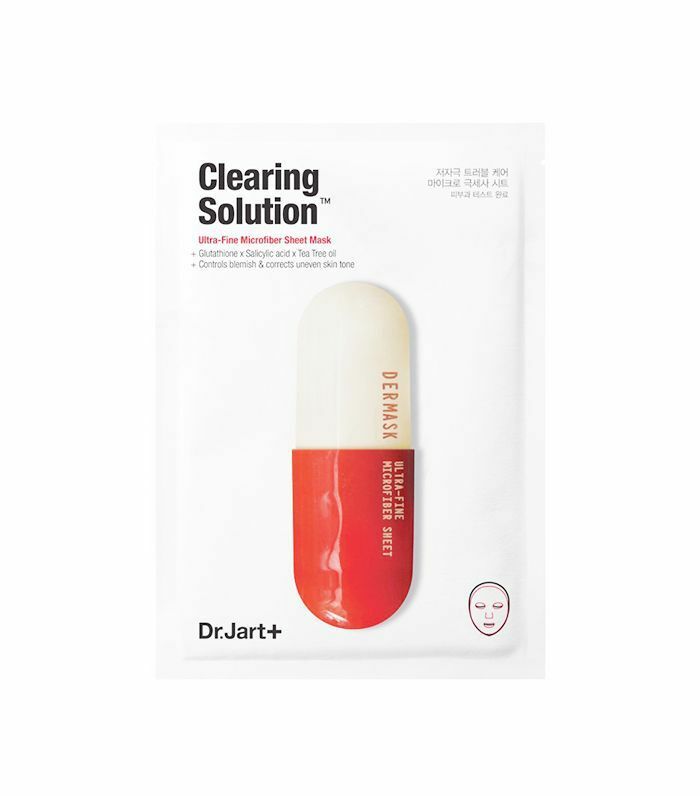 This sheet mask for acne by Dr. Jart+ utilizes glutathione, tea tree oil, niacinamide, and salicylic acid to heal skin symptoms like hyperpigmentation and shine. From French skincare line Talika comes the Queen B of all sheet maks for acne. Fortified with the likes of peptides, vitamin E, grapefruit, bamboo stem cells, and hyaluronic acid, this pick troubleshoots acne and inflammation—on the dot. This luxe sheet mask for acne from Erno Laszlo expertly adheres to the contours of the face and efficiently works to eradicate impurities, blemishes, and excess oils without irritating the skin. Members of the all-star cast include a skin-renewing AHA fruit complex, charcoal, kiwi extract, and glutathione. Radiant skin, ahead. A gilded sheet mask? Say no more. 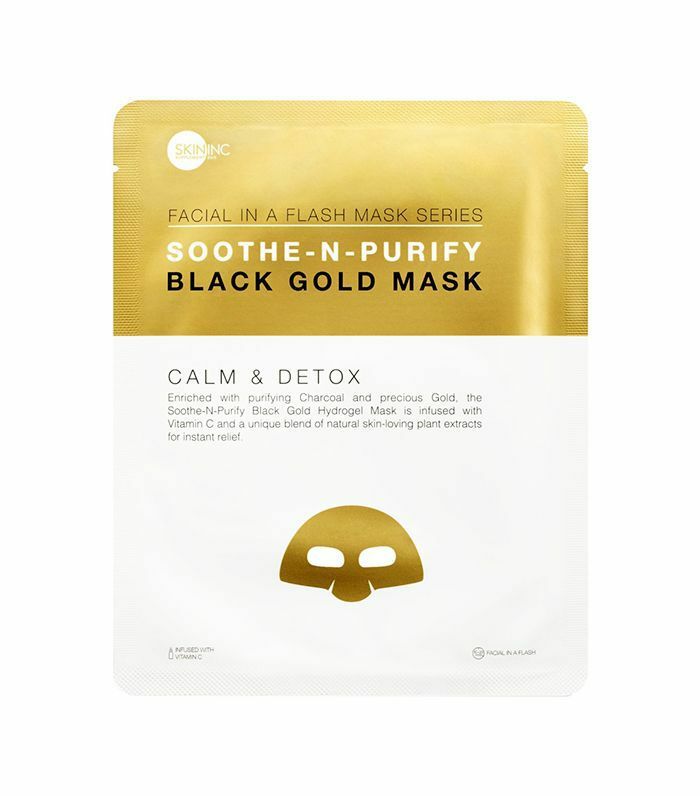 Enriched with acne-fighting and Midas-esque heavy-hitters like precious pure gold, charcoal, and a specialized vitamin C serum, this pick is a good one to have on hand for those random (and infuriating) breakouts. Plus, the mask comes in two portions (one for the top of your face and one for the bottom) to ensure superior fit and absorption. It's official: Wearing lace on your face can lend itself to lessened oil and cleared-up skin. 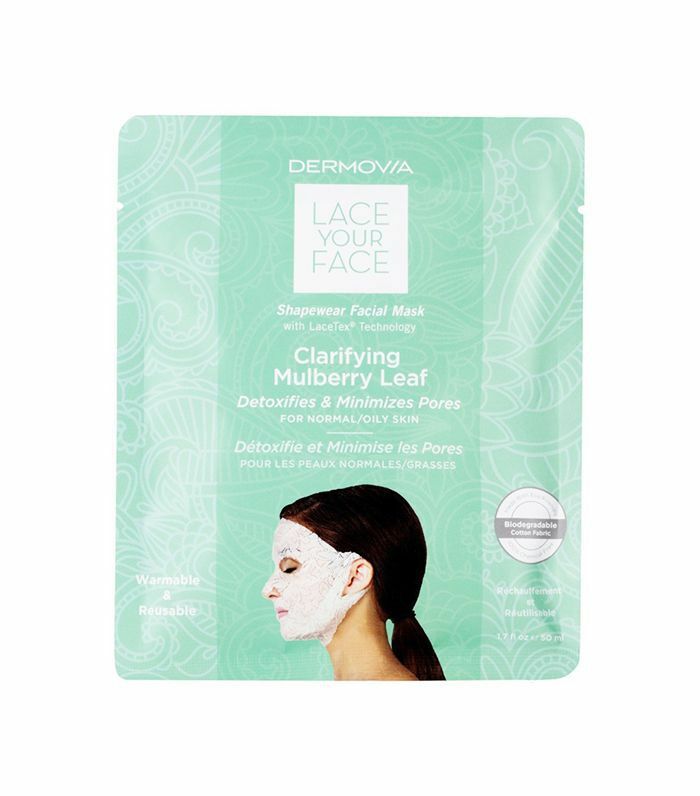 Infused with mulberry leaf, lentil seed extract, and vitamin C, this compression mask stretches glamorously across the face while simultaneously saving a problematic complexion. Next up: Here's how an esthetician, nutritionist, and makeup artist solved my breakouts.